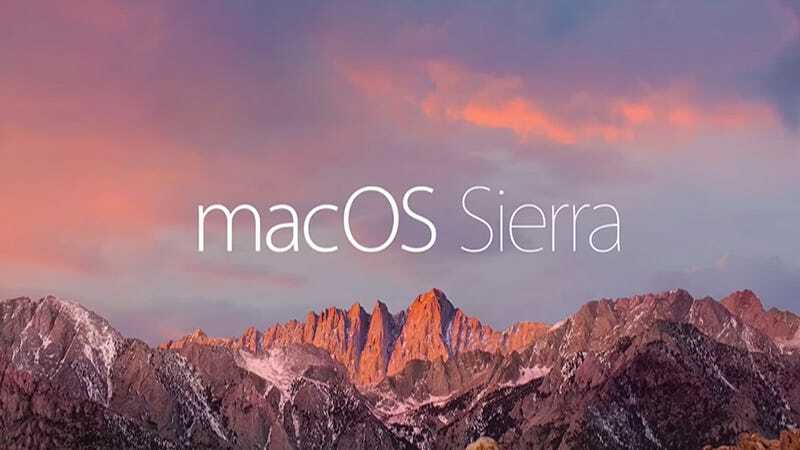 The latest version of OS X, now called macOS, is available to download! MacOS Sierra brings a lot of new features to the Mac, the most notable being Siri integration. You can now use Siri on the desktop, asking for directions, upcoming appointments, and for access to documents or stuff on the web. There are some other niceties too, including a new universal clipboard that works with iOS 10. The idea is that you can copy something on your iPad or iPhone and paste it to your Mac. It also works the opposite way. Apple has also improved how iCloud syncing works. If you opt-in, it will now upload a copy of your Documents and Desktop folder to the cloud, for better syncing across devices. Dropbox is still better, but this is a nice feature. There is also a new feature that will help optimize storage on your Mac by getting rid of stuff taking up excess space. In my tests with the macOS Sierra beta, I was able to free a good 30GB of space off of a Mac packed full of stuff. Apple Watch owners can now unlock their Macs with the Apple Watch, which is kind of rad. The macOS Sierra download is about 4.4GB. You should make a Time Machine backup of your machine—or make sure your important files are saved someplace secure—just in case.